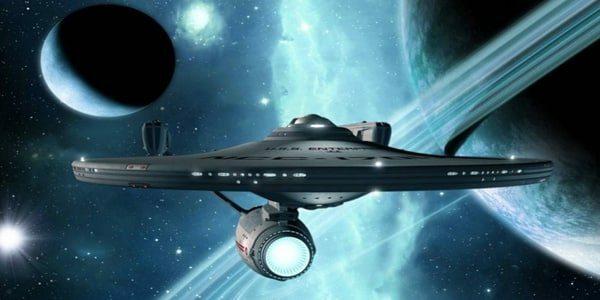 Namco Bandai have signed a deal with Paramount Pictures that will see the companies co-publish and distribute the anticipated Star Trek game worldwide. Expected to release during the first quarter of 2013 for all major home consoles and PC, and prior to the May 17th theatrical release of the next Star Trek instalment from director and producer J.J. Abrams, the game already was met with a positive reaction when Paramount unveiled the game in pre-alpha phase at E3 2011. It’s currently being developed by Ontario-based developer Digital Extremes, who previously worked on titles such as BioShock 2, Unreal Tournament, Dark Sector and The Darkness II, with Paramount’s Creative Executive Brian Miller overseeing production. Being built from the ground up as the “ultimate co-op experience”, the game will see players control both Kirk and Spock in an adventure across unexplored planets and enemy battleships utilising the latest 23rd century weaponry and gear. The game’s original story is being penned by BAFTA award winner and God of War writer Marianne Krawczyk in collaboration with Roberto Orci and Alex Kurtzman, writers and producers for the upcoming Star Trek film. “With our Namco Bandai partners leading the distribution effort, we are confident that we will meet an overwhelming demand to get this exciting console experience into the hands of gamers and Star Trek fans worldwide”, comments LeeAnne Stables, Paramount Pictures Executive Vice President of Worldwide Marketing Partnerships and head of the studio’s video game unit. “The positive response from our initial unveiling at E3 last year was unprecedented, and we are fortunate to have the highest level of production and creative talent on our team that will bring this incredible game out to market next year”. Olivier Comte, Senior Vice President of Marketing, Sales and Publishing for Namco Bandai Partners S.A.S. added “Star Trek continues to be one of the most beloved entertainment properties around the world, and Namco Bandai Games Europe is extremely excited to be teaming up with Paramount Pictures to create the definitive Star Trek interactive experience. “Working with Paramount Pictures and Digital Extremes reinforces Namco Bandai Games’ commitment of expanding its portfolio to include Triple ‘A’ Western developed games in addition to its popular and well-respected Japanese Franchises. Digital Extremes’ attention to detail, and the collaboration with Paramount Pictures and the team at Bad Robot Interactive will create an authenticity that is sure to thrill Star Trek fans and gamers alike”.